Business survival depends on IT innovation. Enterprise cloud computing presents CIOs with opportunities to deliver that innovation by thinking like CEOs in order to play a strategic role in driving new revenue while reducing costs. 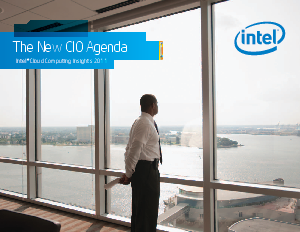 Intel CIO Diane Bryant has shown how this is possible by implementing cloud strategy at Intel. Bryant says that Intel has saved $17 million to date, and anticipates yearly savings of $7 million for the next three years. Intel, Bain & Company and NYSE Technologies share their stories on improving their infrastructure with cloud computing in this white paper. Find out more now!